For Day 16 of the 23 Days of Handmade Christmas we will be exploring another way to creatively wrap gifts! To wrap the cookbooks, I simply placed the cookbook on the towel lengthwise, folded in the sides and folded in the top and bottom. I then stacked them on top of one another. 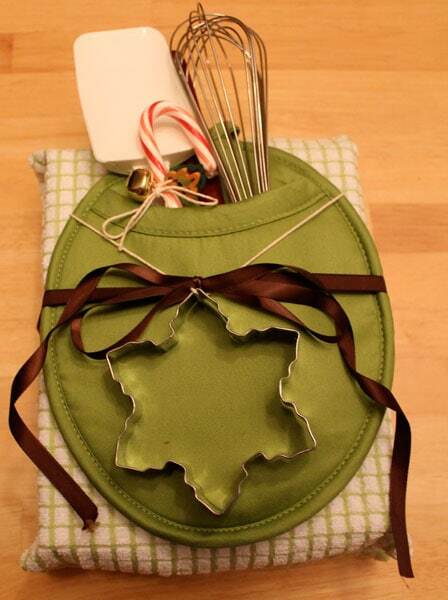 I placed the kitchen items into the potholder and also a candy cane with a bell and tiny cookie cutter embellishments. 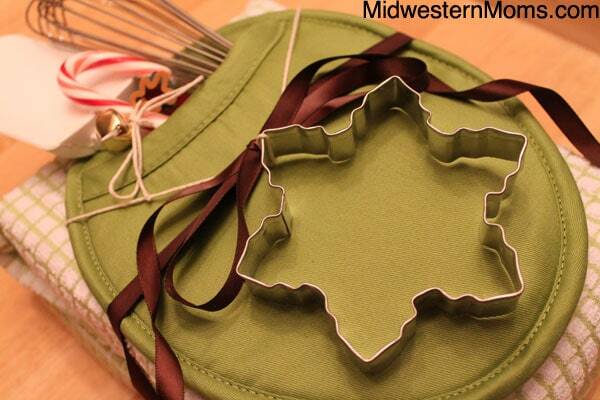 I then hung the large snowflake cookie cutter over the potholder and tied the string around the center. I think this gift wrap puts the “fun” in “functional.” Don’t you think? Don’t forget to stop by and visit Amber today for her gift wrap project!